Jason A. Crotty is a birder and lawyer living in Portland, Oregon who has shared thoughtful, in-depth conservation pieces with 10,000 Birds readers. This is Jason’s fifth contribution to the blog. Birders are familiar with the National Wildlife Refuge System, which consists of more than 550 units distributed through all fifty states. National Wildlife Refuges (NWRs), which are managed by the U.S. Fish and Wildlife Service (FWS), contain many of the nation’s most renowned birding locations, including Bosque del Apache NWR in New Mexico, Laguna Atascosa NWR in Texas, and J.N. “Ding” Darling NWR in Florida. 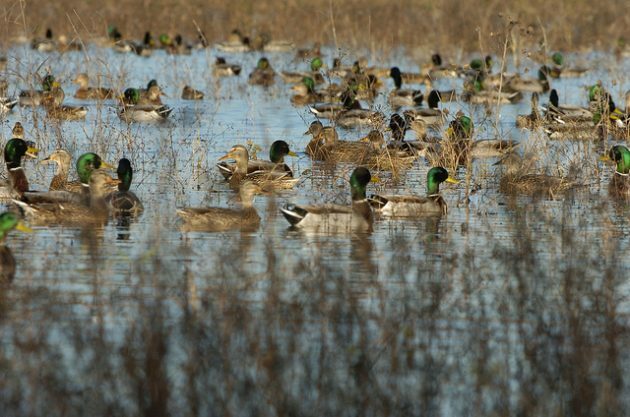 But within the National Wildlife Refuge System is a frequently overlooked collection of properties burdened by a mundane name: Waterfowl Production Areas (WPAs). What are WPAs and why should birders care about them? The Prairie Pothole Region of the United States—about 100,000 square miles of the northern Great Plains—is characterized by depressions or basins created retreating glaciers. Often called “potholes,” these fill seasonally with water from melting snow and rainfall, forming shallow ponds and wetlands. 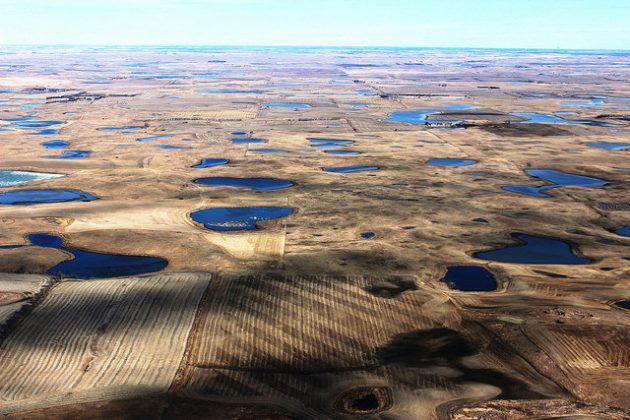 These potholes and associated grasslands create North America’s most productive habitat for breeding waterfowl, making it an area of global significance for Mallards, Northern Pintails, Blue-winged Teals, Gadwalls, Northern Shovelers, and others. The region has justifiably been referred to as the “Duck Factory of North America.” It produces approximately half of the continent’s waterfowl. However, over time many of these ponds and wetlands have been drained, filled, and converted to agriculture. In 1958, to address the increasing loss of this valuable habitat, FWS began to acquire land in the region. The resulting properties—WPAs—are small ponds, wetlands, and associated grasslands, primarily in North Dakota, South Dakota, Minnesota, and Montana, but also in Michigan, Nebraska, Wisconsin and Iowa. Most WPAs are small: they range from less than an acre to nearly 7,500 acres, but average just 90 acres. Yet taken as a whole, WPAs total almost 3.8 million acres. Although many WPAs are owned by FWS, some are private property subject to a conservation easement, a voluntary agreement between a willing landover and FWS where the owner agrees preserve certain aspects of the property (e.g., maintaining a seasonal wetland and/or grasslands). Most of the FWS-owned WPAs are open to the public, but WPAs created by easement are generally closed to visitors. Some WPAs have trails, observation blinds, interpretive signs, and other facilities for visitors such as birders. Individual WPAs are grouped into Wetland Management Districts (WMDs) for administration by FWS. Thus, for birders, WPAs are vitally important for populations of many waterfowl as well as shorebirds, grassland species, and other migratory birds. They provide key habitat in areas where habitat is rare, making them disproportionately significant. Without WPAs, many common waterfowl (and other birds) would be much less common. Although a birder may never visit a WPA, he or she will almost surely see birds that have utilized a WPA. As examples, Mallards banded in the prairie pothole region have been observed in 45 states and it is likely that virtually all Whooping Cranes have stopped at a WPA during migration. 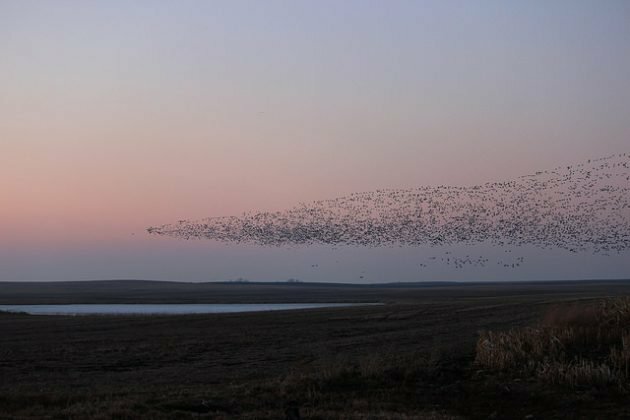 A pair of examples helps illustrate the significance of WPAs, though the scale of their overall contribution to waterfowl and other bird populations is largely a result of their total numbers and combined size. Established in 1962, Fergus Falls WMD is located in western central Minnesota. Key waterfowl species include Redhead, Northern Shoveler, Blue-winged Teal, Mallard, Gadwall, Wood Duck, Canvasback, and Canada Goose. It contains approximately 220 WPAs totaling more than 44,000 acres. Additionally, Fergus Falls WMD manages about 23,000 acres of wetland easements and more than 1,000 acres of grassland easements. 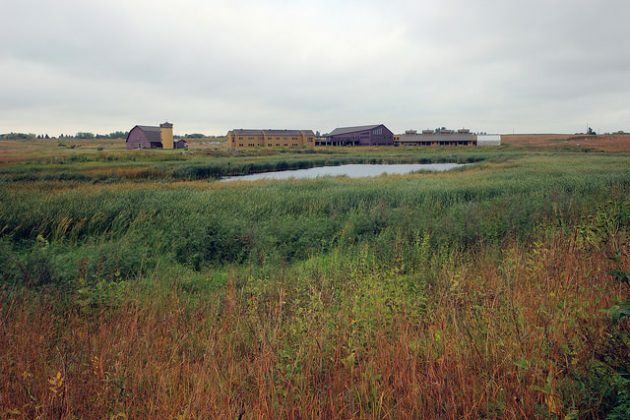 It is also home to the Prairie Wetlands Learning Center, which has exhibits, more than 200 acres of prairie, 28 wetlands, and several miles of trails. It is also a site on the Minnesota Pine-to-Prairie Birding Trail. Notwithstanding the success of WPAs, the Prairie Pothole Region region remains a conservation priority and FWS continues to acquire land, in significant part with funds from sales of Duck Stamps. For birders, the easiest and most direct way to support WPAs (and NWRs) is to buy a Duck Stamp. There have been and will continue to be ongoing debates about the appropriates uses of our federal public lands. Birders are familiar with National Parks and National Wildlife Refuges, and their importance to birds and birding. But there are other federal lands that are critical to maintaining healthy bird populations, including largely unheralded system of Waterfowl Production Areas. The eastern Rainwater Basin also may be the main spring stopover area for the entire Buff-breasted Sandpiper population, though they spend most of their time in soybean stubble rather than wetlands. Good stuff. I never heard of Waterfowl Protection Areas before.